It's 3:30 am and I can't sleep. I went to bed early but woke up wide awake. Is this the "energy" burst you get during the second trimester? If that's the case, I'm not a big fan of it. I like my sleep!! Give me energy during the day not when I'm sleeping!! Okay, rant over. Thank you all so much for your well wishes, hugs and hurrahs. I mean to respond to everyone once reports are over, which I will be this weekend. We are thrilled about little bean and everything seems to be fine except this waking up early bit. So as I was transferring over photos onto my computer, I realized I forgot to do a post about my little Victoria trip a few weeks back, for my sister's convocation at the University of Victoria. The last time I had been in Victoria was when I was 12 so it was nice to revisit the city again. 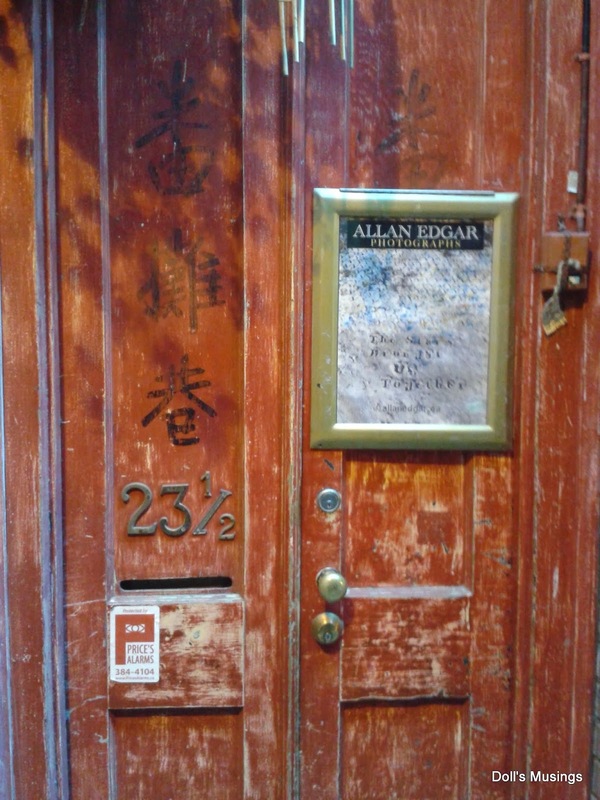 We stayed in a charming B & B and wandered through the downtown, which I fell in love with. 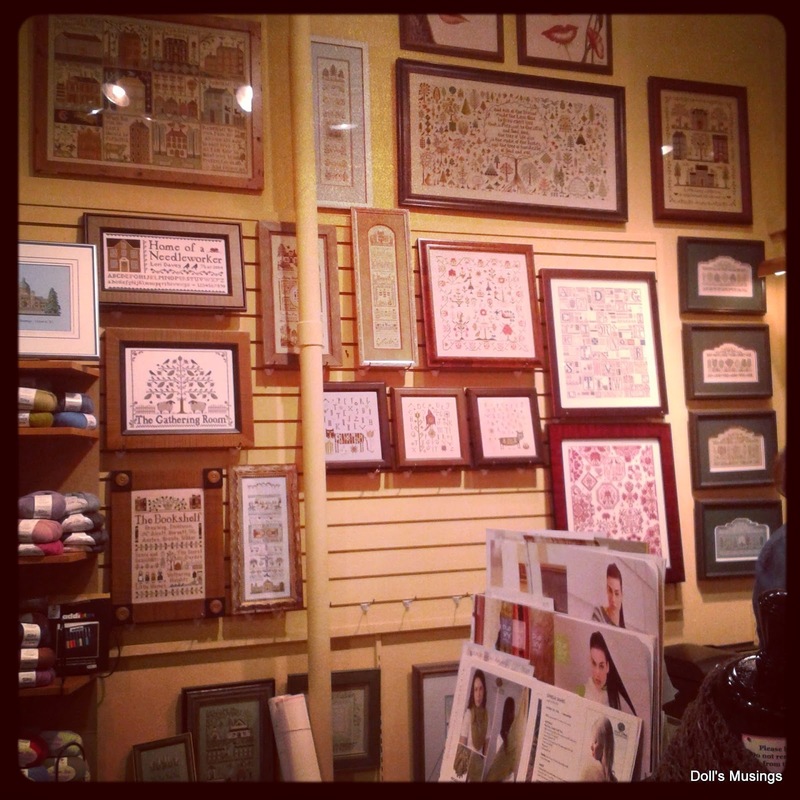 Victoria has amazing old buildings and the most charming little shops, including a knitting and stitching store!!!! 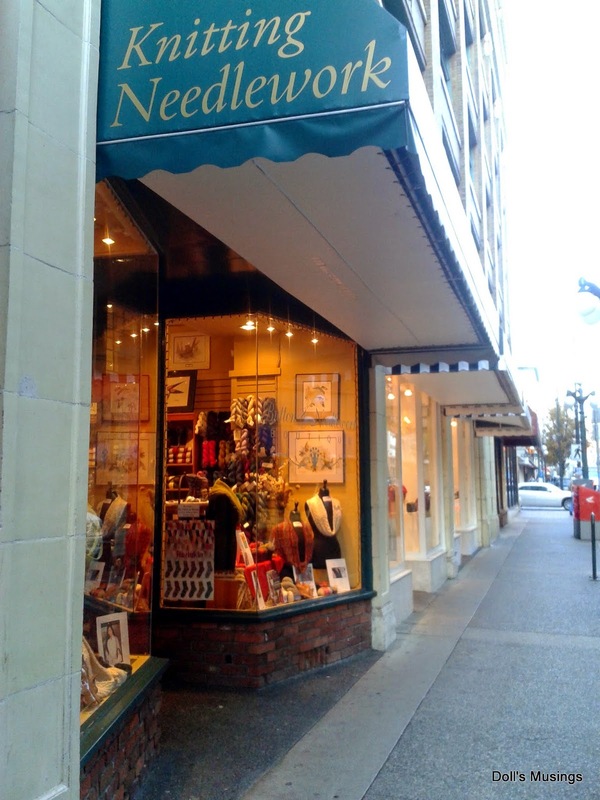 I hadn't been to a local needleshop since the one in Prince George closed when I was 11! I was in heaven, and did a lot of damage too...hehee. Loved all of the framed stitching on the walls! I felt sort of rushed since my auntie and sister's boyfriend don't really have an interest in stitching, so I completely bypassed the beautiful wools and ribbons, forgot that they were there until I saw the photo, and sort of in an elevated state, ran to the fabrics, threads and charts. It was so nice to see and FEEL the linens! I bought a few. 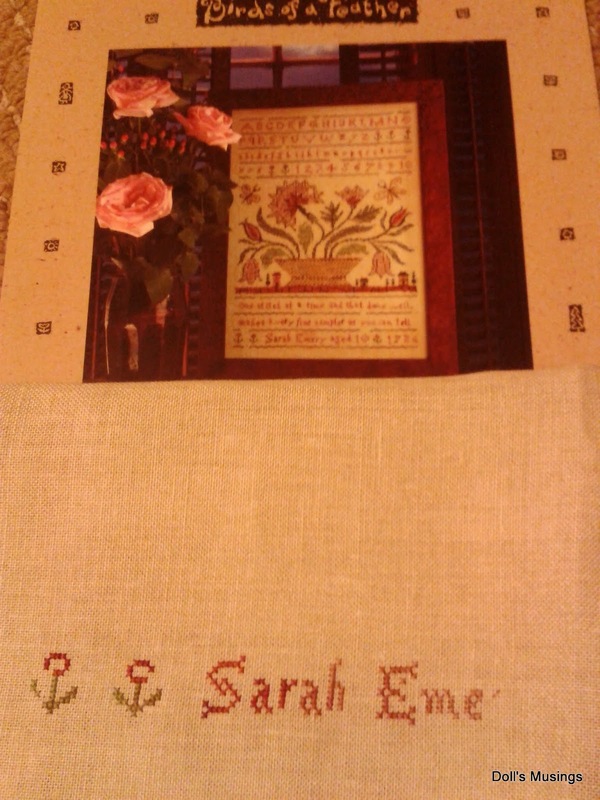 Couldn't help myself, plus I saw the beautiful Sarah Emery on the wall and realized I have that chart, so I bought the linen and threads to stitch it with. 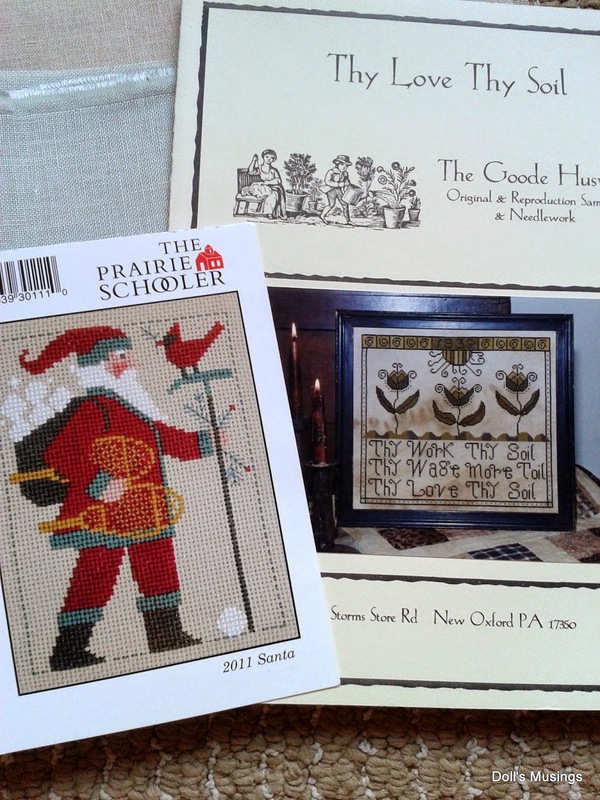 I also found a Good Huswife chart and a cute PS Santa that I am going to make for hubby this Christmas. My sister, who didn't want to come in at all...lol, came in and ended up buying the same Good Huswife chart, linens and threads to stitch it. 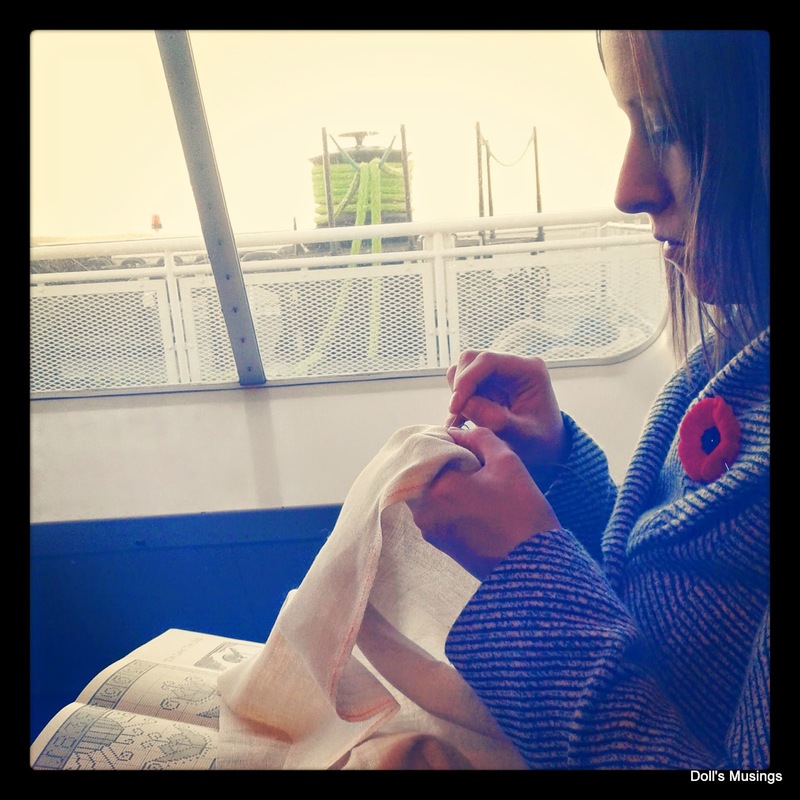 Here she is stitching on the ferry. I got her started. 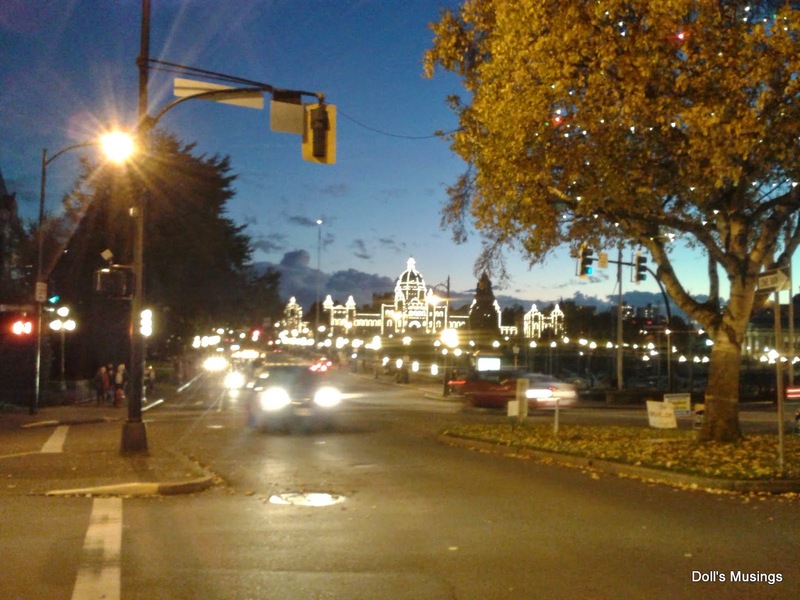 I took a lot of other photos of Victoria but it was getting dark already at 4 so not many photos turned out that well. 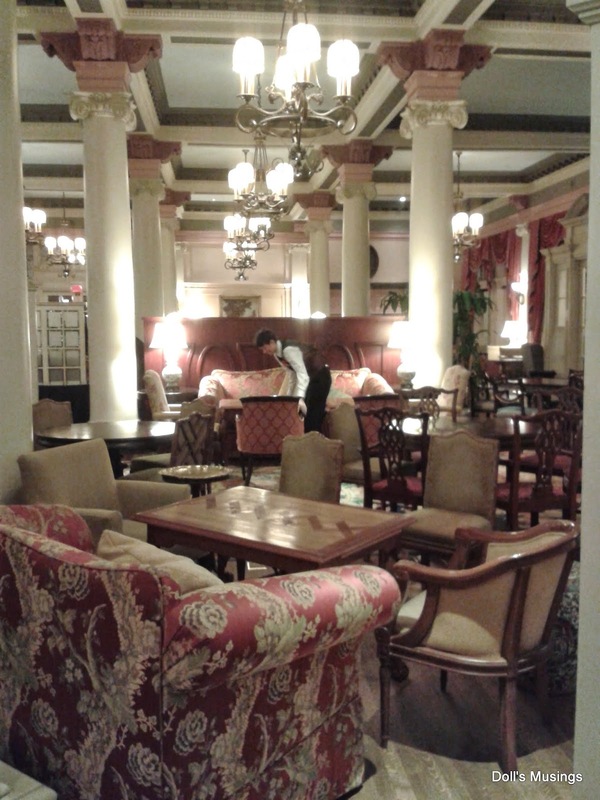 We visited the Empress Hotel and wow, is that an amazing hotel! I felt like I was transported back to 1882. The Parliament building was all lit up but again, photos turned out crappy. 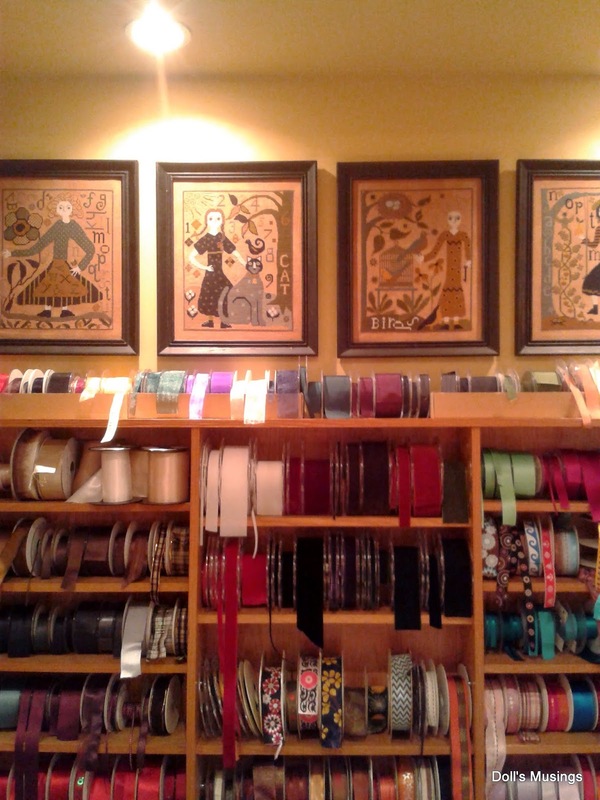 Next time I visit Victoria, I will have more time to explore and revisit the stitching store with ample time to peruse. Very charming city if anyone is interested in visiting. Well, I have done a smidgen of stitching, but mostly crochet. I have been stitching snowflakes like crazy and you never know, some of them may float into your home soon! I started a baby blanket but changed the pattern since the bamboo cotton I got is very fine and doesn't work well with crocheting from the back stitches. Those who crochet will know what I'm talking about. I actually finished the vase on Sarah Chapple but the lighting right now is pretty dim so I'll post an older photo. I stitched a bit on the PS Santa and started Sarah Emery. Last but not least, I guess I forgot but I ordered two more charts and some black lugana awhile back. 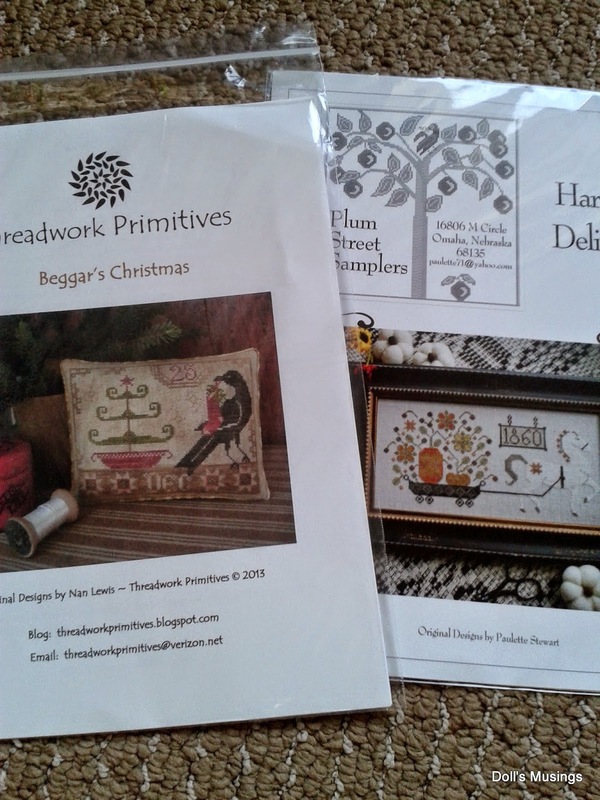 One of the charts is Beggar's Christmas and I want to pull the threads and stitch that one to add to our Christmas ornaments this year. Reminder!! My giveaway ends on the 30th so there's still time to enter! Click on the right side bar under the header Giveaways and it'll pop you over to the post. Good luck to all who entered! Hugs to all...maybe I can get another hour of sleep in?! Will you be checking in on your sister for progress? Are you doing an SAL together? Glad to hear you are feeling well! What a charming city. Enjoyed the post!! What fun things you found at the stitching shop! I always love seeing stitching things in real life rather than online. It's more fun to have them in your lap on the way home, than when you order online and have to wait for them to arrive! Are the snowflakes hard to make? I think my daughter would love to try making some for next Christmas! Is there a pattern you could direct me to? Take care of yourself and Baby Bean! Oh yes I like sleep too when I do! Take care of yourself.. 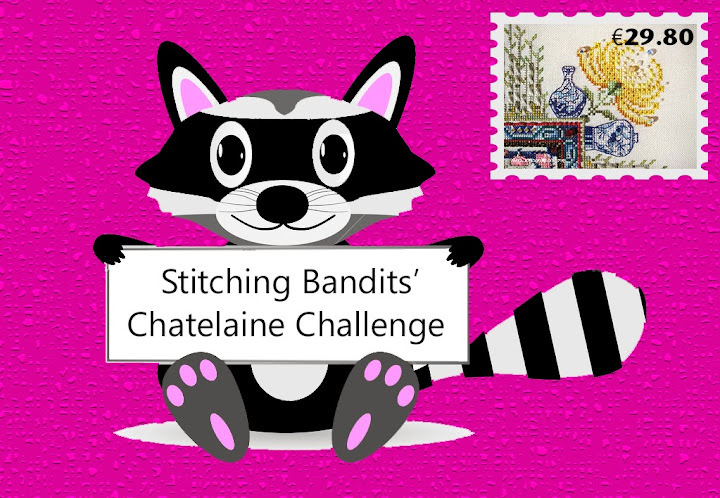 Your stitching looks really pretty and will look beautiful when finished. Sounds like you had a lovely trip to Victoria. Hope you get more sleep...sorry The Little Bean is waking you so early! Ok, I have to say I don't remember any wakefulness in the second trimester. lol! On the other hand, it's been over 20 years since the last time I was pregnant. Ahem. :D Love seeing your pics from Victoria. I hear you on the shopping with family -- can't spend the time you want to, rush rush. So sad. lol! But that's life. I went into a knitting store up in Maine while we were on vacation, but no time, no time. Ah well. 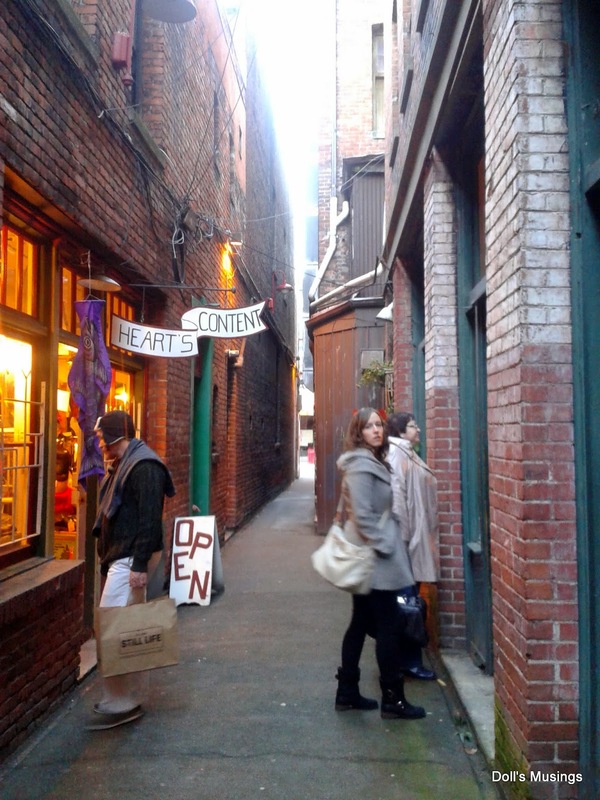 Love that alley, and high tea -- wow! Take it easy! I am a brand new crocheter so I can only guess at your yarn woes; does it split easy? I love your colorful snowflakes! I am a bit afraid to make them in yarn but they look so cute and fluffy! Good gravy, $50 for tea. I imagine it's a lovely experience but think of all the floss that could buy!! Lovely stitchy shop too. Actually the whole area is lovely! I must not be looking hard enough here for such pretty sites. I can't remember if it was the second trimester but the insomnia in the middle of the night can happen and frequently. Someone told me it was training for when your baby arrives! Makes sense. Victoria is lovely as far as the downtown core charm is concerned. 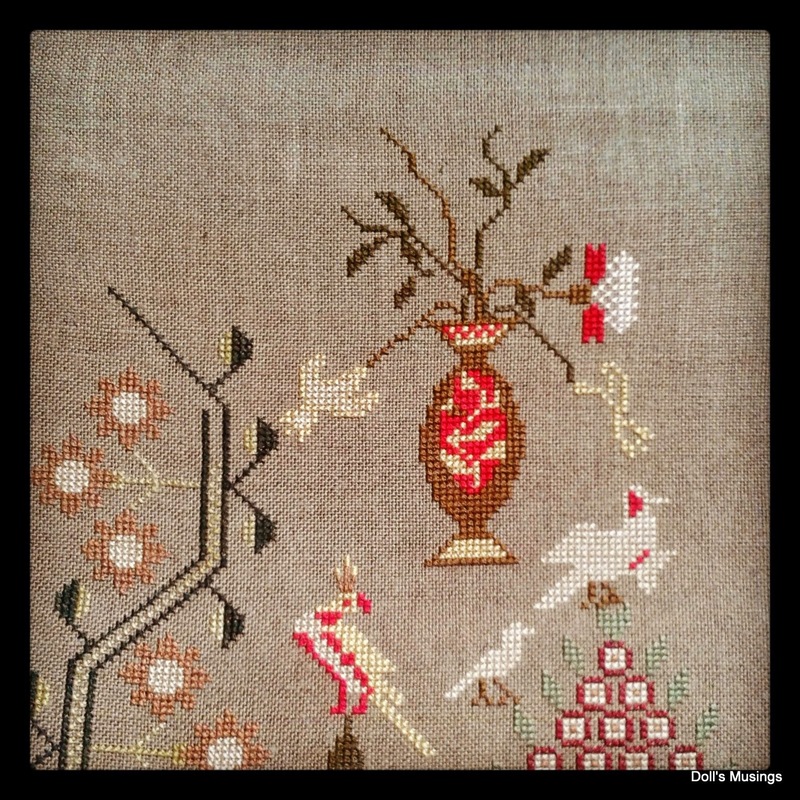 The needlework shop is great. They used to have lots more stitching stuff too but now more yarns. Great stash! I have some of those charts too. I love how your Sarah Chapple is coming along. I'll have to learn to crochet one of these days. So nice to hear from you and to know that you are doing great. I think it's a great idea to write a blog post when you can't sleep, lol. 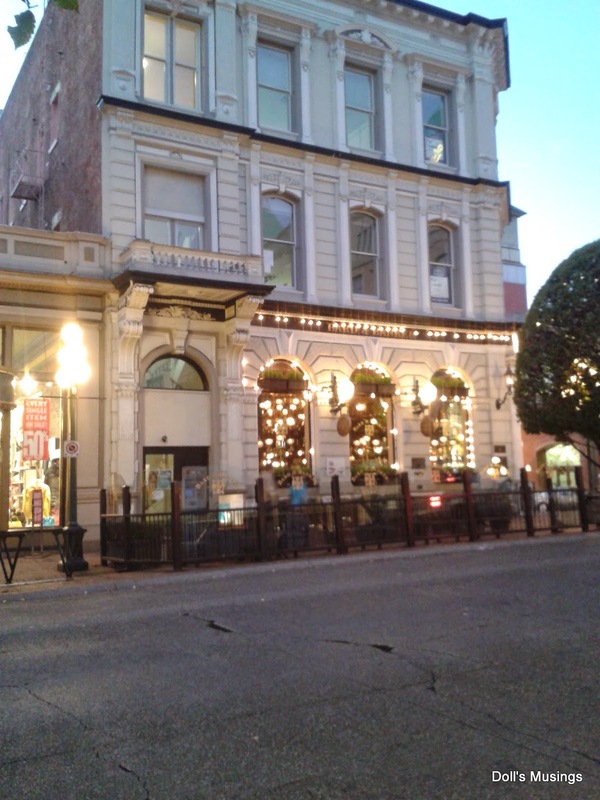 Nice report and pictures from your visit in Victoria. 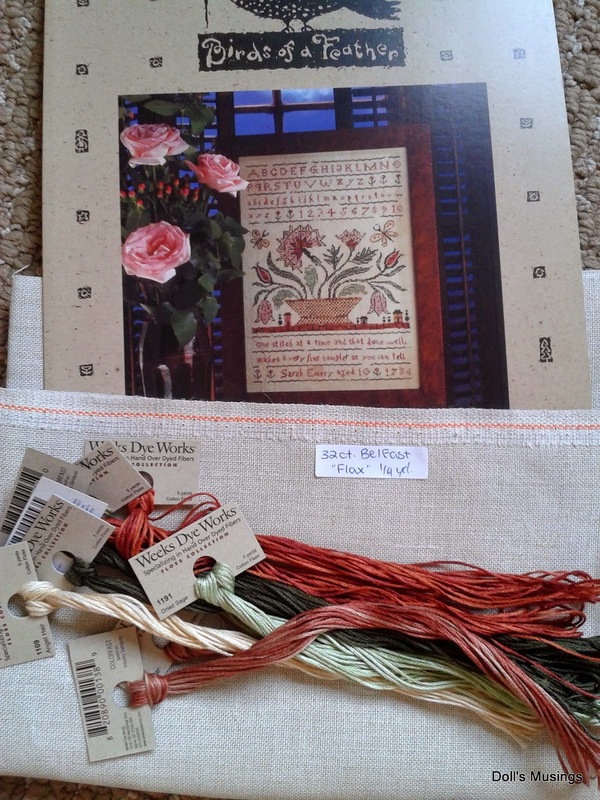 Seems to be a lovely place - and such a fantastic needlework shop. like you I can spend hours in such kind of shops, but like you I don't have such a shop near where I live. Your new stash is wonderful, I love the charts and the fabrics. Great choices. 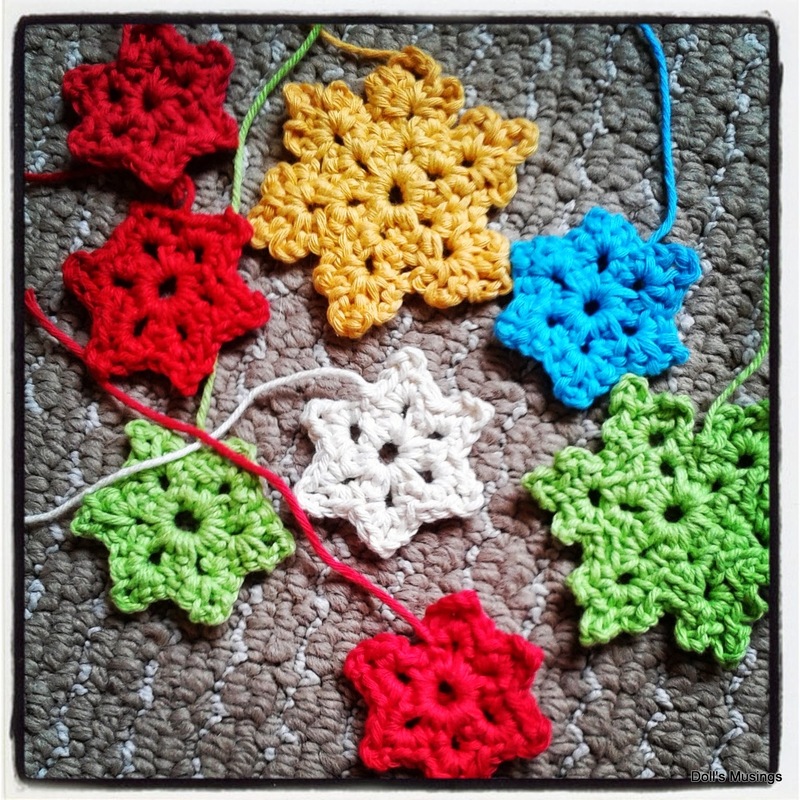 And such nice progress on your stitchy projects and the new crochet starts. I hope these sleepless nights won't happen too often. Hmm, I'm really liking that BoAF sampler! Victoria is a place I'd like to visit. I'd been to Seattle to visit a grandmother, same kind of weather/atmosphere there it would seem. I went to the Attic once and my daughter sat in the car for about two hours waiting for me. Did I feel bad? Noooo! Take care, Anne. Hello Bean! Hmm! Shame about the sleeping as you will need all that you can get when the baby comes - lol! Victoria looks lovely, which state/country is it in? Love your new stash and very pretty stitching. Happy to hear all is going well with exception to sleep...the little bean is prepping you for the future. Nice stash enhancements and stitchy progress. 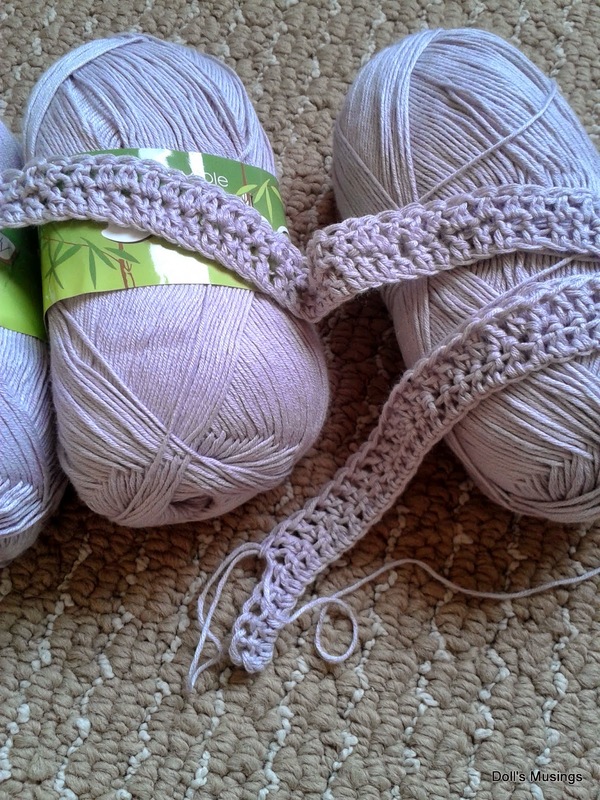 Love the beginnings of your blanket...love the color too!!! Hope your energy level will come back soon... believe me this is actually better than morning sickness (or evening ones, like I had)!!! Looks like you had a great trip and the cross stitch shop!!!! Wow, heaven, pure bliss!! Love your purchases and stitching. What a wonderful shop, great purchases you brought home. Hope you managed a little cat nap to replace the lost sleep. Victoria looks gorgeous! Glad you made the most of it even if you did feel a bit rushed. Those linens look lovely. I remember the sleepless nights whilst pregnant all too well! Hopefully it will pass soon and you can get some rest. Cat napping is a great idea if you have time. Just watch out, the time you wake up when pregnant is he time baby wants their night feed!! Look up "dream feed" for advice on how to survive this LOL. 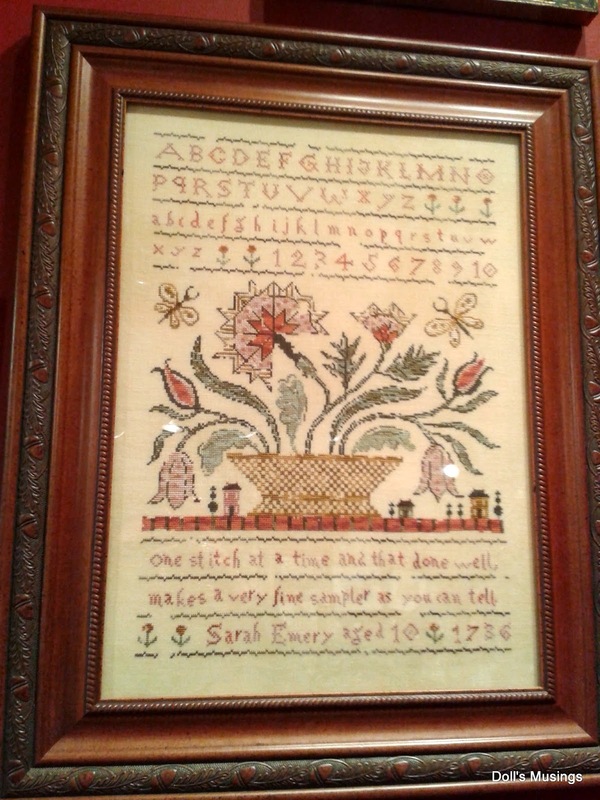 Looks like you had a great trip especially the real life needlework shop. I think the fabrics would be my weakness. 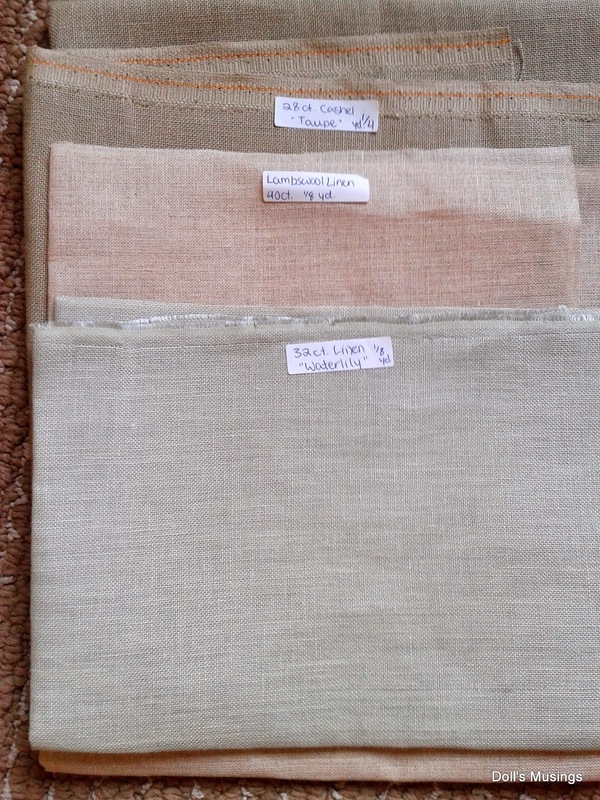 I like neutrals but it's so hard to tell what they are going to look like and feel like when you buy online. Good to hear that you are doing well. I think you may well be a little over-active. You have been very busy on crafting all sorts of wonderful creations. Nice new start, and nice going on Sarah Chapple. Hope you're getting some sleep. What a great thing, to find a stitchy shop!! Along with the great Irish Pub, Parliament, and the many other sights you will see next time--sounds like a fun city to visit! You got some great stash! I look forward to seeing progress and starts! Provided you get to sleep thru the nights NOW!! Hugs!